If you look into the illuminated display cases of the Naef Museum, you will discover six decades of the company’s history. 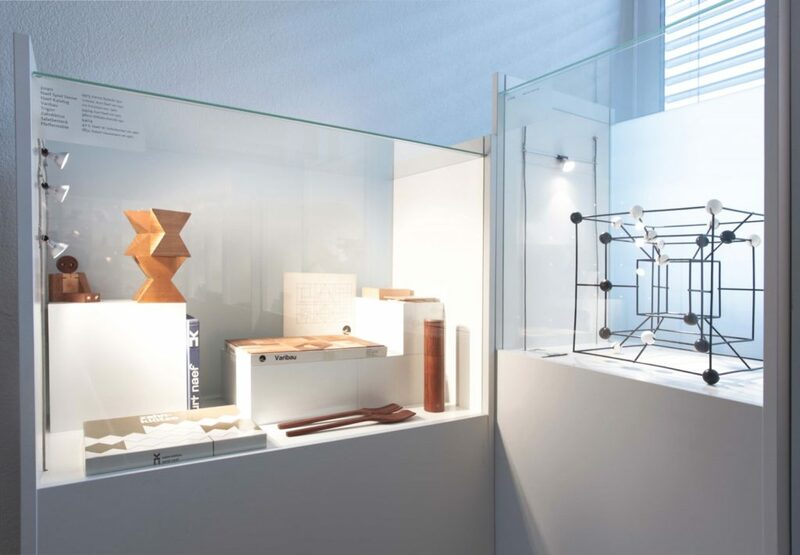 Above all, you will recognize the passion of Naef’s founder, as the objects exhibited are primarily from the private collection of Kurt Naef. Among these treasures are toys from earlier production; items that were never produced; prototypes; and über-dimentional one-of-a-kind pieces like the Big Diamond by Peer Clahsen. The exhibition, designed by designer Heiko Hillig in 2012, highlights the trends of the past decades, but also demonstrates that wooden toys are timeless. The 400 objects on display in the Naef-Museum certainly do not represent the entire Naef collection. The turbulent company history has resulted in an incomplete historical inventory. We know, however, that it is possible for our indestructible toys to resurface, be it in antique shops, flea markets or even on the Internet platform “E-Bay”. Recently, the “ring-bau” toy from the 1970s was for sale online and has since found its way from Louisana (USA) back to Switzerland.